These days I am pretty much obsessed with one thing and is WEIGHT RELEASE (loss). It is a very slow process for me as I do not generally workout or I don’t have stressful running around life. Getting obsessed with this weight reduction topic, I started reading more and more about it. Started discussing with friends what they do for weight release, which crystals they prefer and which the best reiki method is for them. After lots of pros and cons I have come up with this method, though I cannot say it is a tried and tested one. I have just started this since last 4 days and all I can say is I feel way lighter, my hunger pangs reduced and I feel more motivated to continue this weight release process. We merge 3 weight release methods here: Detox drink, Crystals and Reiki. Now you must be wondering how crystals merges here. Well, the water that we are going to use in making detox drink is nothing else than crystal elixir. This detox drink recipe I found while surfing internet and I am pretty sure it is quite effective. Ingredients needed: Sliced cucumber, chopped mint leaves, lemon/lime juice and 1 liter water (crystal water), cinnamon stick (optional). Method: Take a one liter container, toss all the above ingredients and fill it with crystal elixir. Put it in the refrigerator overnight and drink this detox drink throughout next day. When it is half empty, add more crystal elixir. Do not use for more than 2 days. I prefer making every day, I make at night and leave it overnight in refrigerator. Biggest question is which stone should one use for weight release? There are too many stones to pick one. Some crystals when combined with other crystals creates wonders. Listing below are few crystals you can use, pick the ones you resonate with. Once you pick your combo, make your elixir to cleanse it, charge with Reiki and program with a weight loss intention or affirmation. Iolite– Best for reducing fatty deposits. Blue Kyanite– Release excessive weight. Apatite– Reduce hunger pangs and improves metabolism. Tigers eye– Speeds up metabolism rate and increase motivation to diet/exercise. Sunstone– Increases metabolism and will power. Amethyst– For the ones who has obsessive eating disorder and for the ones who ends up eating when distressed. It also helps reduce addictive eating. Carnelian– Stimulates metabolism and heals feminine issues associated with Sacral chakra that causes weight gain. Citrine– Helps you manifest your goal faster. Rose Quartz– Teaches you to love your body. Note: – While making elixir, always check crystals if they are toxic or not. Do we healers do anything without Reiki? I guess not! At least I don’t. So, how to merge Reiki? – Reiki all the ingredients used in Detox drink. – Reiki whatever crystals you pick for your combo to make elixir. 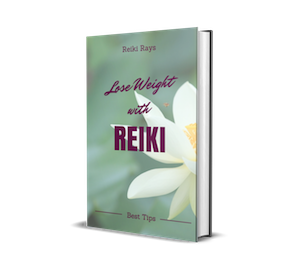 – Reiki the detox drink again once it is ready. You can use any weight release affirmation while charging everything with Reiki. Also ask Reiki to heal karmic weight across lives, space and dimensions. You can use any other detox recipe and continue with the procedure. So let us all release our weight and be healthy, happy and hot. Weight-loss programme is the very toughest things to do, can just Affirmations create wonders? Affirmations are powerful but u can merge it with reiki n crystals for better results.. But if we can not get the crystal ,than what to do,please explain.And if its necessary to put a crystal,thn fro4 where we can get it. !